Acne is a problem for me. My breakouts make me self conscious about my appearance and I hate that ! You would think I would be used to it since I have been dealing with this skin condition for over half of my life ( 17 years to be exact ) but I am not. 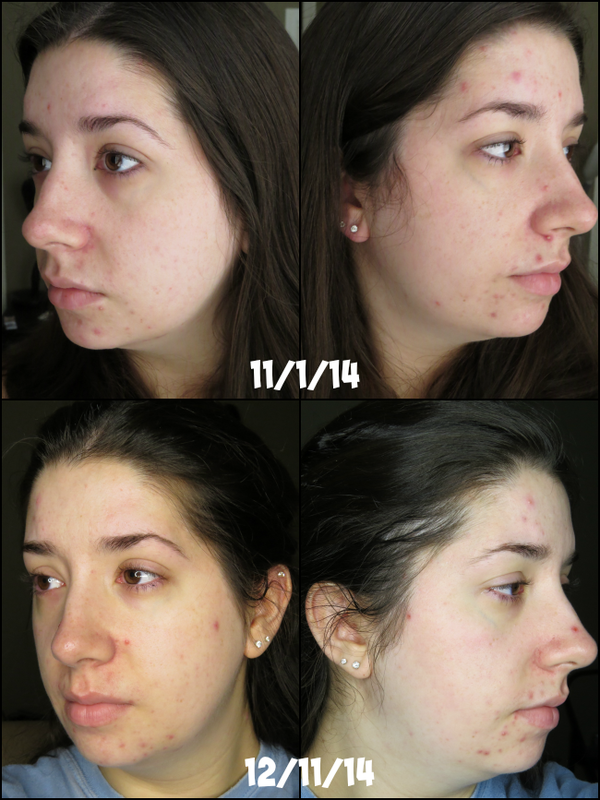 I've written about my struggle with acne before. - Sounds irrelevant but just skip to the 1 minute mark and you will see what I'm talking about !! How great would it be to just wake up, wash my face, throw my hair in a ponytail, take my kid to school and not be self conscious about my acne spots?? My acne is massively inconvenient. I spent about 90% of my makeup application time covering spots. By the time I get to the fun part of makeup, playing with cheek, eye and lip colors I am usually 'over' doing my makeup or run out of time and need to run out the door. Which is a shame because I love trying new makeup. It's not even about being super vain. I'm not looking to be perfect here. I like my large nose and sometimes awkward eyebrows. Flaws like that are characteristics. They are cute. But the cluster of white heads by my mouth are not! I am so sick and tired of my skin holding me back from being me. 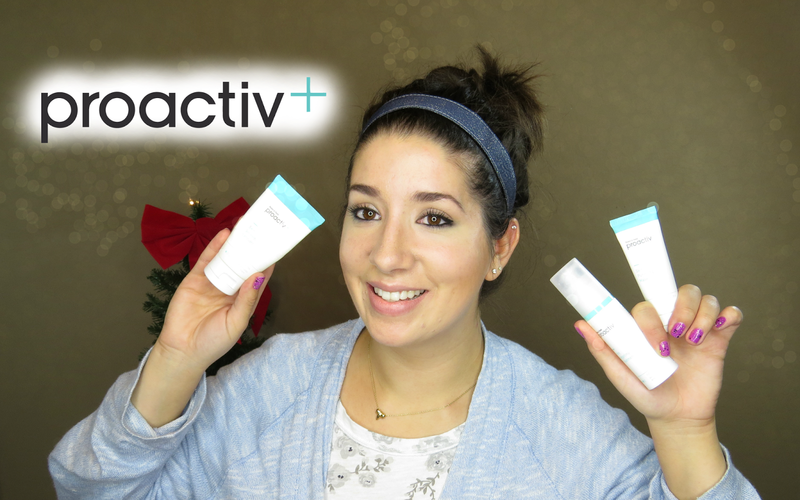 That's why when Proactiv asked if I would be interested in giving their new Proactiv + line a go, I said HECK YES ! Ok I may been a little more vulgar than that ;) I was pretty excited. So to say I was nervous to try this line of products is an understatement. Then why did I agree to this? I was curious about the 'new formulation'. I am desperate for clear skin. But mostly because of you guys. If you are reading this far into the post then we more than likely in the same skin issue boat. I feel your pain !! Proactiv+ is a 3 step set. This meant I got to cut out a few of the steps I was previously implementing : ie : toner, serums and a few other randoms. At least for the time being while I was testing this out. The kit also comes with a deluxe sample size of their Skin Purifying Mask. Step One : Skin Smoothing Exfoliator : This is 2.5% Benzoyl peroxide face wash and is to be used both in the morning and at night. This cleanser is definitely an exfoliator with its thicker more gritty texture. Which kind of threw me off at first. My understanding has always been that you aren't supposed to exfoliate over active blemishes because you risk spreading the bacteria while further agitating the skin. But I still gave it a try and now I love it and can't imagine not using it. The beads are gentle but still get the job done. This is not overly abrasive at all. I love how smooth this leaves my skin. Especially in the morning. My makeup has been going on so much smoother now! Make sure you use a makeup remover wipe before using this. It will allow the medicine to really penetrate the skin and not fight through the layers of makeup. You will get a better clean and faster results this way. 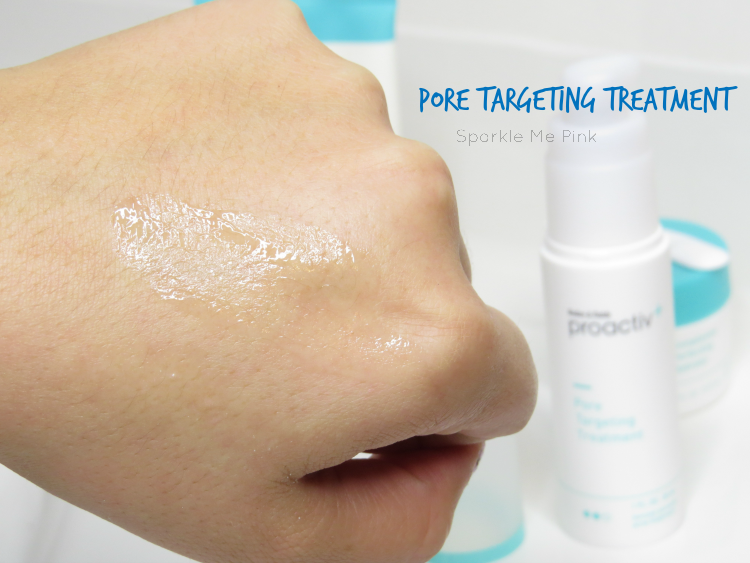 Step Two : Pore Targeting Treatment : This is a 2.5% Benzoyl peroxide spot treatment. This treats the active acne spots. The bottle is larger than I expected which is really great. I really like that it pumps out rather than being in a squeezie tube. It is a sort of cloudy thin liquid, a little goes a long way!!! This can be a tad over drying so I just make sure to only apply it directly on my active blemishes. Once they start to heal I stop apply this or they will start getting scaly. I usually use this just at night unless I have a really icky breakout then I will apply this in the morning as well. Step Three : Complexion Perfecting Hydrator : This 0.5% Salicylic acid moisturizer helps prevent blemish from happening in the first place. My first thought about this was how is this little pot going to last me a month. But it is actually quite a thin formula. Just like the spot treatment a little goes a long way. While you are supposed to use this both in the morning and at night I tend to enjoy this more in my morning routine. This hydrator is the perfect formula for use under makeup. 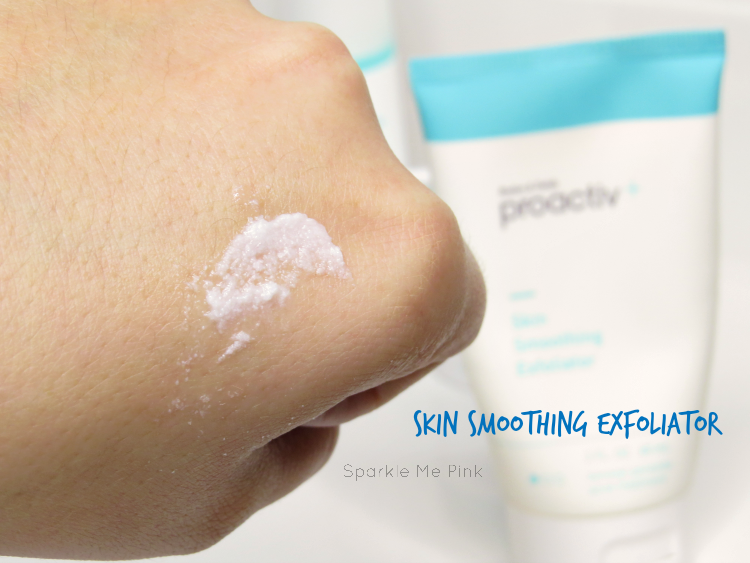 Once it absorbs into the skin it leave behind a shine free, non-greasy smooth surface. However, I do not feel that is a strong enough moisturizer for me to use at night. More on that later. Bonus Product : Skin Purifying Mask. The sulfur in this mask absorbs excess oil and minimizes redness and irritation. I did until I tried the other three products for about 2 weeks or so before even opening this. Especially since it is a different type of treatment and active ingredients. I didn't want to upset my skin. But I am so glad I did give this a try. Once I started using this on my active raised blemishes they started to clear up even faster! I have noticed my blemish totally clearing up in about 2 days rather than 3. I use this as a spot treatment of sorts, applying only on just the breakouts and not all over my face. I also wash it off the moment it dries. I left it on too long one time and it over dried my skin. When the box arrived it was like Christmas morning. I was so excited that I starting using all three products right away. Which was a BIG mistake. See for the past few months I hadn't been using any acne type products at all. So while the gentle, simple products I was using didn't irritating my skin, they weren't helping to clear my acne up at all either. Anyways, on day two of using all three products I woke up and my skin hated me ! My face was extremely dry skin and everything was irritated. 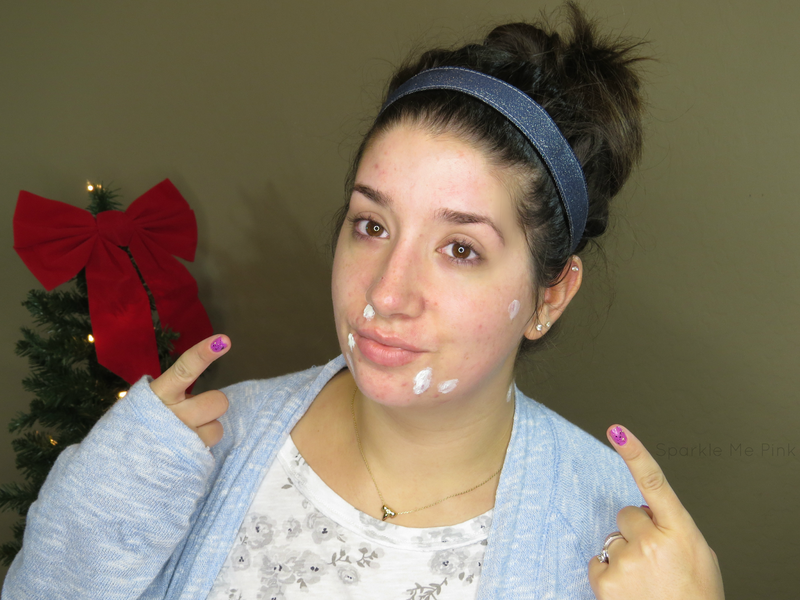 I didn't have a rash or anything but I did give the Proactiv help line a ring just in case. She suggested that I try only one product at a time to see if I could ease my skin into these products. It was totally a DUH moment for me. The next few days I used only one product at a time and my skin started to calm down. I noticed that my skin didn't over react to any one product in particular. It was a bit dry after the first week but not red or irritated. It was at this time that I added in a super moisturizing thick night cream. My skin was screaming for moisture. 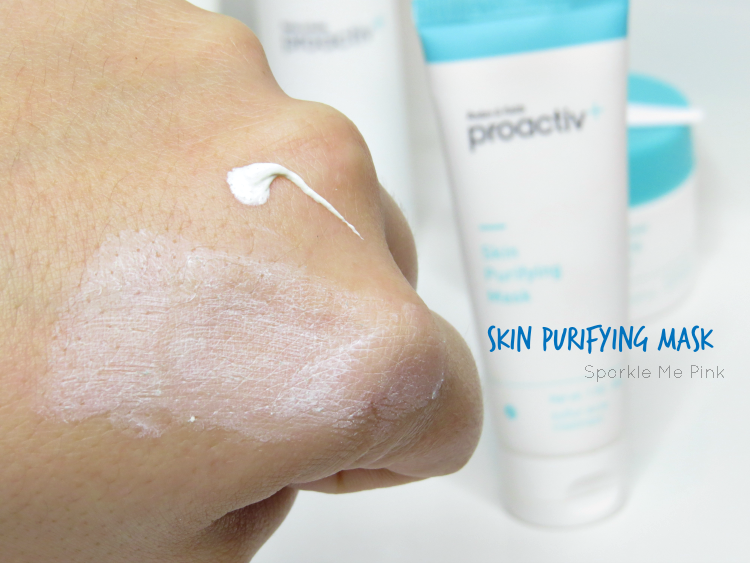 The help line said to try not to add to many outside products into my Proactiv routine by i I need to make sure they are gentle and noncomegentic, meaning it won't clog my pores. 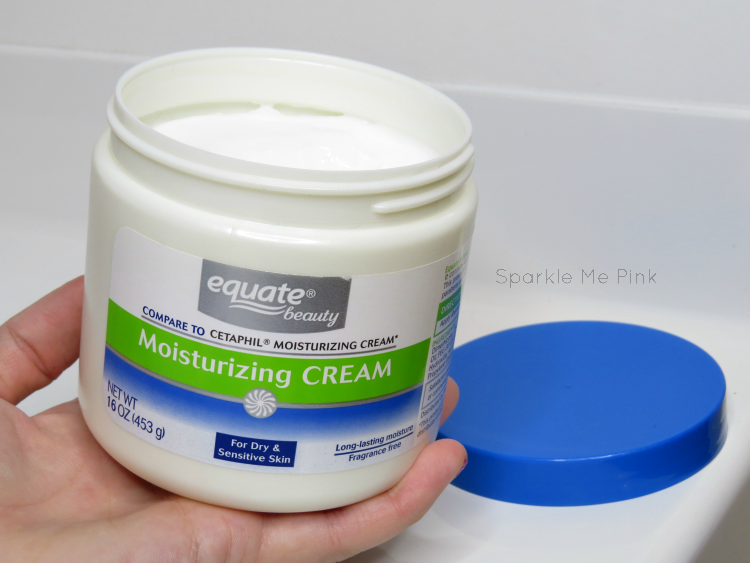 This is the Equate Beauty dupe for Cetaphil brand. Thick, creamy not super greasy. This stuff does wonders!! I even use it on my elbow and around my nails. 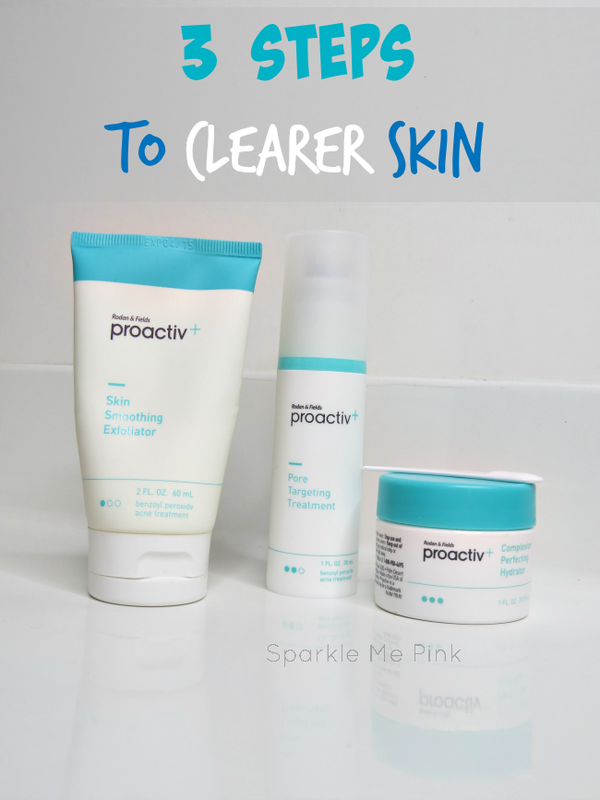 After 6 weeks of use I feel have a decent grasp of this 3 step skin clearing routine. I do feel like this has helped get my everyday acne under control. I know right off the bat these photos may not be convincing but I can tell that the spots are different and the overall condition of my skin is healthier. By that I mean most of the daily breaks out are down to minimum. If I do get any spots they tend to surface and heal in about 3/4 days ( 2/3 of I use the mask on them ). I am still suffering from hormonal PMS breakouts. I'm not sure of there is much I can do about those. I did see that Proactiv has an emergency spot treatment, I may pick that up for these sort of breakouts. You know the ones that aren't just unsightly but also really hurt too. 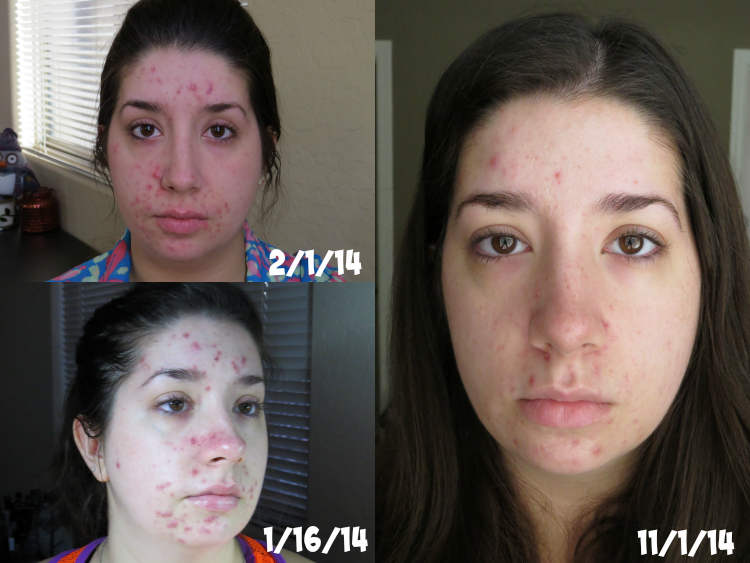 This picture contains all pre-Proactiv photos to show just how acne prone I am in general. I have seen enough of a positive difference with using these products that I will be repurchasing them. The thing that kind of bugs me about Proactiv is that it is not sold in stores. I am an instant gratification kind of person who also hates paying for shipping. I definitely wish I could purchase Proactiv at places I normally shop. 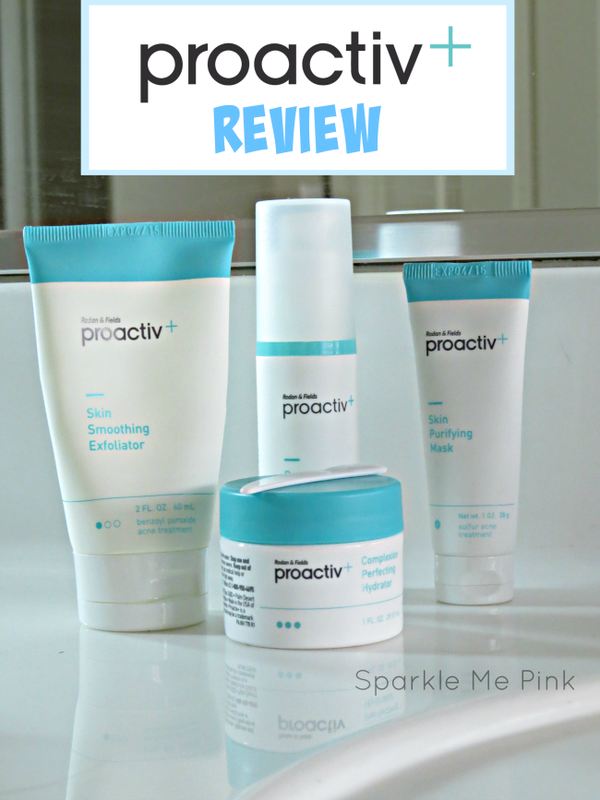 Have you have ever tried Proactiv or Proactiv + before? Or if you haven't are you curious enough to try it now ? I wish you the best of luck with finding a solution to your acne. I understand that it is not just a physical issue but that acne takes an emotional toll as well. $89.85 plus S&H and applicable state taxes. The 90-day supply is billed in 3 payments of $29.95 plus S&H. Sounds like it's a great product. I'll definitely pass this along when people ask for product recommendations. Looks like a good bit of difference. I need to try their new line.